Pet owners are opening up to alternative treatments for their furry little friends. The many health benefits of cannabis are becoming more and more palpable to people from all corners of society. Even consumers who considered weed harmful in the past, are opening up to it’s healing potential, thanks to word of mouth, and all the new sources of information available. When we experience a positive consumer experience, we get a natural urge to share it with our loved ones, which is why the cannabis market for pets has been steadily rising in the past few years, offering a wide array of products designed to help pets overcome a vast number of health issues. Most of the known effects of CBD for cats and dogs are the same as the ones for humans, and include pain relief, anti-seizure properties, stress and anxiety reduction, anti-inflammatory and skin-healing qualities. CBD can also help deal with the consequences of cancer and improve arthritis-related problems. However, although there’s a growing acceptance towards the use of CBD in cats and dogs, there’s still not enough evidence to support the claim in scientific terms, mainly due to cannabis’ status as a Schedule 1 substance, which has blocked much of the possible research. For the time being, pet owners have to rely on studies performed on other mammals such as humans or mice, and, though there is some evidence that dogs absorb CBD differently, most indications seem to point out CBD can be very beneficial for both the canine and feline. So far, there has only been one official vet study regarding the medical use of CBD in pets, which concerns the use of CBD as a treatment in osteoarthritic dogs. This study has delivered very favorable results, but there’s a growing need for more studies that conclusively show the cannabinoid’s perks. In the meantime, pet owners are advised to use CBD responsibly when administering it to their pets, making sure to know what’s the best dosage for each particular case. As for THC, there isn’t as much consensus between vets to support the claim than CBD’s ‘higher’ sibling can help pets in medical terms. In fact, most of the research seems to indicate that THC could be hazardous for dogs, so although there are some professionals out there inviting people to share a spliff with their furry companions, it’s advisable to restrain from these experiments until conclusive evidence has come to light. For cats and dogs, the most common house pets, the lack of scientific research can be somewhat compensated with the multiple anecdotal experiences pet owners are posting online and sharing at the dog park. However, owners of more rare animals like bunnies, horses, snakes and guinea pigs are advised to proceed carefully in treating their pets with any kind of cannabis derivative, since solid evidence of its efficiency is still to be found. How Legal is Cannabis for pets? It appears that efforts to decriminalize weed for humans have taken up so much time and energy in activists, that our furry little friends have been left behind. Today, although cannabis is legal for human medical consumption in 32 states, there is no state that will allow it for animals. The result of this is that, even in legal states, veterinarians are reluctant to prescribe, recommend or even discuss cannabis for their patients in fear of prosecution from the DEA. In any case, there’s nothing preventing legal adults from buying pet-targeted cannabis online and administering it to their pets in the privacy of their homes. Taking all of this information into account, we invite pet owners to check out some of the best-selling cannabis products for their pets. These usually come in the form of treats, which are tasty CBD snacks that your pet will love, or in the form of tinctures and oils, which come with a dropper to give directly into their mouths or mix with their food. Treats are easier to feed since cats and dogs will have them without a doubt, yet tinctures and oils provide a more accurate account of how much cannabis they’re actually consuming. HolistaPet is a California-based company dedicated to bringing organic solutions to pet ailments. They provide a wide range of products that combine CBD with other natural active ingredients to target specific issues such as stress and anxiety, heart and immune system, and joint and mobility care. The CBD Dog Treats +Joint & Mobility Care include Turmeric Root and Boswellia, to complement CBD’s anti-inflammatory and tissue repairing properties. They’re also made with Pumpkin Puree, Rolled Oats, Cinnamon, Organic Rice Flour and Coconut Oil, so your dogs will love to eat them. Check out their site to see treats for other ailments and also for cats. This oil is made from certified organic coconut oil, infused with organically grown Colorado Hemp, and can be added to your pet’s meals using a spoon. You can follow the weight guide to know how much medicine to give to your pet according to its particular size. HempMy Pet is an organic company that elaborates all of their products using hemp they grow themselves, to ensure the quality of their vegan, gluten-free, GMO-free, pesticide-free products. If you have trouble giving your dog conventional medicine, you won’t have to fight anymore, because he’ll love Honest Paws‘ Creamy CBD-Infused Peanut Butter, which is made from 100% Full Spectrum CBD and Human-Grade Peanut Butter. Canna-Pet’s Advanced capsules come in different formats, designed for small to giant breeds. They include a fine powder made from a non-GMO, broad spectrum, organic hemp. Just open the capsule and mix the powder with your pet’s normal food or water to get the best results. Pet Releaf makes this Full Spectrum Hemp Oil designed specifically for cats and small dogs. It is dissolved in organic coconut oil and comes in a dropper, so you can feed it directly to your pet’s mouth or dissolve it in their ordinary food or water. 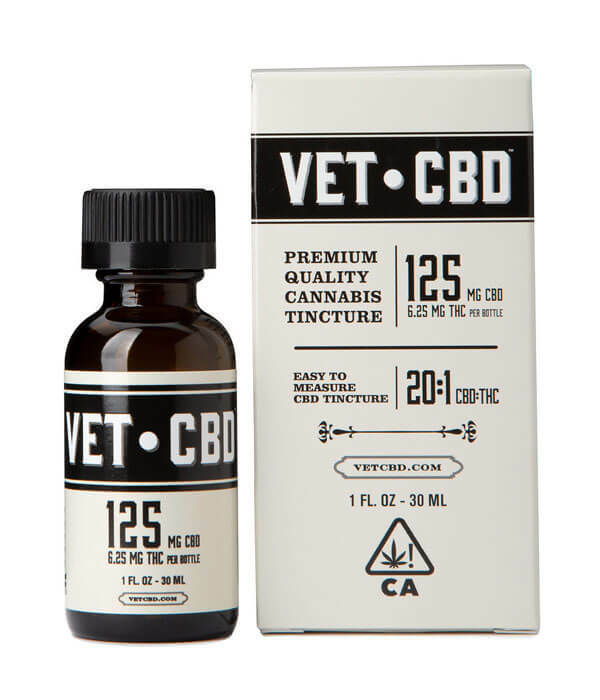 VET CBD is an olive oil based CBD tincture made specifically for pets. As opposed to most products on our list, its CBD content is derived from marijuana, instead of hemp, so you need to get it at a dispensary. Check out their website to find a dispensary close to your location. This treat made by Treatibles is designed for senior dogs who prefer a softer consistency. They include organic full spectrum hemp, as well as turmeric, papain (papaya) and bromelain (pineapple stem). They use all-natural ingredients and feature delicious beef flavoring. Innovet developed these full-spectrum organic pellets specifically for equine and livestock, to achieve the best possible results in horses, donkeys, mules, goats, and sheep. This product made by Pet Health CBD is a tincture specially made to reduce separation anxiety in pets. Its elaborated from 100% natural ingredients with a terpene profile designed to guarantee a calm pet and a relaxed parent.